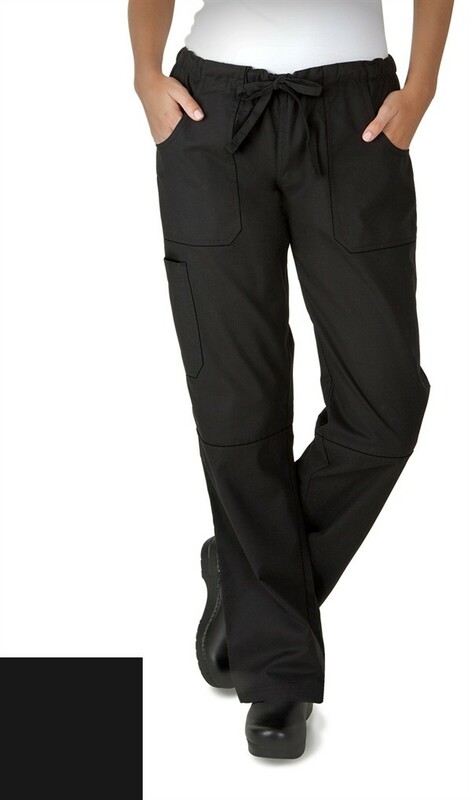 Our women's cargo style chef pant offers maximum comfort with a relaxed fit and boot cut style. 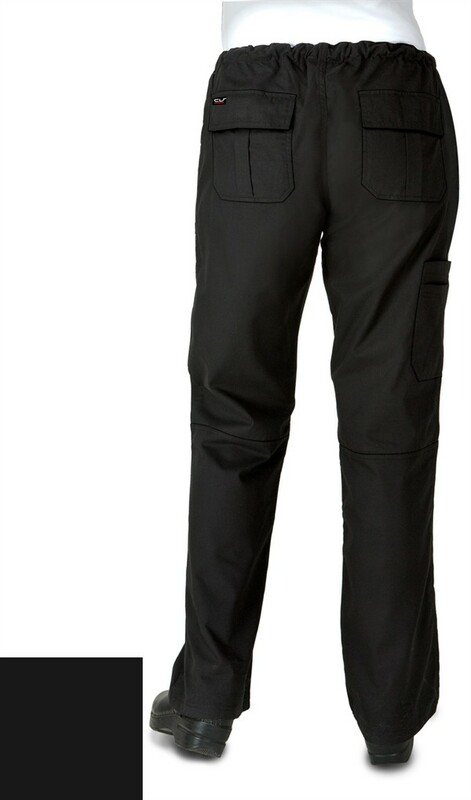 This low rise chef pant sits below the waist and features an elasticized drawstring. It offers plenty of storage with six pockets including two pleated back pockets with flaps and Velcro closure. Premium STRETCH fabric is 57/40/3 Cotton/Poly/Spandex with a peached finish. Approximate inseam length for size Medium is 32".